From software companies to coffee roasters – there are now a full 58 accredited Living Wage employers in New Zealand. The Living Wage Movement has confirmed the full list of accredited employers today, with a total of 58 organisations earning the recognition. Celebratory events were held simultaneously today, at Auckland’s Trinity Cathedral and Christchurch’s Transitional Cathedral – both newly accredited Living Wage employers. 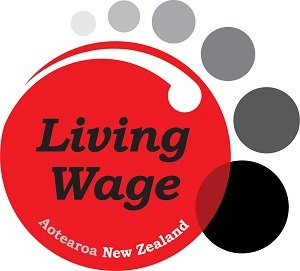 "These employers are doing the right thing by their workers, but also reaping the rewards of a stable, happy workforce and the ability to market themselves as an official Living Wage employer,” said Annie Newman, national convenor of Living Wage Movement Aotearoa NZ. "Increasingly New Zealand employers understand that becoming a Living Wage employer is not only the right thing to do, but a sound business decision as well," she added. Living Wage employers are committed to paying employees an hourly rate of $19.80 or more – the New Zealand Nurses Organisation (NZNO) was among those newly accredited. Subscribe here for the latest HR news and info straight to your inbox.